As North Metro members prepared for the 2019 Regional Contest, we were very aware that one of our founding members was not on the risers. Shortly before contest, our beloved 90-year-old ‘Sadie’ passed peacefully in her sleep at Lakeridge Palliative Care Unit. There was not one day during her brief illness and hospitalization that Sadie was without one or more chorus members by her side. Funny chorus memories were shared and sometimes North Metro music was quietly played to her. Towards the end, her chorus friends just sat and held her hands, so that whenever she awoke she knew she was never alone. She knew how loved she was! Sadie was the first person new members saw. As one of North Metro’s Assistant Directors, it was Sadie who voice-tested chorus applicants. Many recalled how kind and supportive she was, with her warm smile, hilarious sense of humour, and that lovely Scottish lilt in her voice. She made the audition process as welcoming and relaxed as possible. It was after she emigrated to Canada from Scotland that Sadie met her husbandJohn – also abarbershopper. They were married happily for many years until he passed. She used to say that she came all the way to Canada to meet and marry another Scot!! He was the love of her life and had the same sense of humour. Listening to them chatting together was like watching a comedy show! Sadie’s two younger brothers, whom she adored, remained in Scotland but visited her regularly. During the past few years, Sadie became acquainted with the laptop computer. We set her up with ‘Skype’ so that she could Skype her brothers every week and speak to them every day! Sadie loved to make others laugh and over her more than 50 years as a North Metro member, took part in many skits and comedy performances in order to entertain the members. 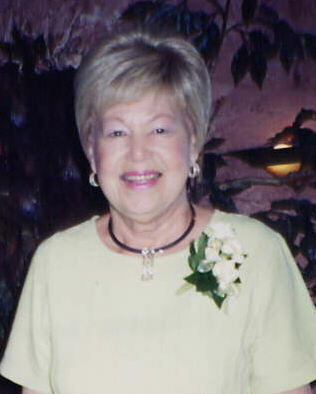 She emceed many chorus events and even directed the chorus during the wedding service of one of June Dale’s daughters. She spoke often about the joy that being part of North Metro brought into her life. We speak of the joy that she brought into our lives. We loved her, will miss her, and were blessed to have had her with us for so long! Lois joined Sweet Adelines in May of 1957. She was at first reluctant to join, as she objected to the phrase in our then constitution describing Sweet Adelines as an organization for "white Christian women ". She eventually did join, properly reasoning that it would be easier to affect change from within the organization than from without. She, among others was instrumental in having that particular clause eliminated. Lois was originally a member of Oshawa Chorus, which morphed into Don Valley Chorus (now defunct). She spent the remainder of her Sweet Adeline life as a proud member of North Metro Chorus and was thrilled to win 3 gold medals with North Metro. North Metro members were greatly saddened by the loss of our Founder and dear friend, Dorothy Hofstetter. North Metro began with some 15 or so members, in the basement of Dorothy’s home over 40 years ago. What began as a seed became a mighty tree! Dorothy spent her years in North Metro productively in many Board positions, including President more than a few times. She was a friendly, personable lady who endeared herself to everyone she met. Dorothy was also very active in Region 16, performing the duties of the Official OPL (Official Panel Liaison) and came to be personal friends with many of the judges who came to our region to judge contests. Dorothy held this important position for some 12 years. North Metro will cherish all of the happy memories Dorothy left us. She was such a warm and caring personality and never failed to instill enthusiasm within the chorus members. Dorothy’s husband Bill, a barbershopper of note, pre-deceased Dorothy by only a year and our thoughts and love go out to their family, two daughters Peggy and Kathy, sons-in-law John and Ed, and grandchildren, Megan, Michelle and Marcello. Dorothy will be greatly missed. 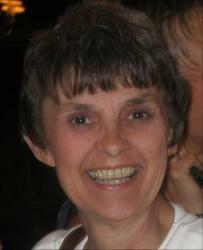 On October 5, 2012, City of Lights Chorus sadly lost our sister in harmony, Sharon Burrows, to cancer. A battle she fought for 15 years. Sharon joined the sisterhood of our chorus in January of 2001. Though it seems much longer for it was, beyond a doubt, where she belonged, sharing her love of music and her love and concern for people. We enjoyed many competitions, shows and sing-outs together. Sharon sang lead and brought with her enthusiasm and dedication, which were always delivered with a smile. Sharon was dedicated to her family, her church and her love of music. She leaves behind her husband, Neil, four children, twelve grandchildren, twelve great-grandchildren, and many, many friends. Sharon Burrows was truly our sister in harmony and we will always hold her dearly in our hearts. Rose was a cherished member of the Buffalo Gateway Chorus and participated in several international competitions. She will be greatly missed by her dear friends in chorus who brought much joy to her life. Northtowns eventually merged with the Greater Kenmore Chorus (now City of Lights Chorus) and Lea, just as she had done in the past, continued to head various committees and hold many elected positions. To name just a few, they were that of President, Vice President, Membership Chairperson, Choreographer and Ways/Means. In 1989, she lost her husband and a few years later met Mike Woods who would be a great friend and supporter, both of her and her choruses, for the next 17 years. In 1999, she joined the Buffalo Gateway Chorus and, again, joined a quartet, “Comfort Zone,” continuing to sing bass as she did for her entire time with the Sweet Adelines. While a member of BGC she also served as Region 16’s Membership/ Marketing Coordinator. In late 2001 Lea was diagnosed with Stage 3 ovarian cancer but continued to sing and attend rehearsals in between all of her hospital stays and treatments. She always kept her sense of humor and her hopes high that she would be able to sing with Buffalo Gateway on the International stage in Honolulu, Hawaii this November. Sadly, that was not meant to be. Lea Miller leaves behind her 3 grown children, 2 brothers, 1 sister, and seven grandchildren about whom she enthusiastically talked and laughed. Buffalo Gateway Chorus has lost a dear friend and singer who loved nothing more than to be with us on the risers every Wednesday night. It is with heavy hearts that we say good-bye to her. 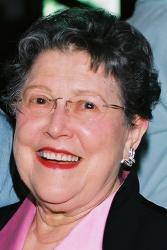 The Carousel Harmony Chorus announces the loss of a treasured member, Eleanor Henricks. 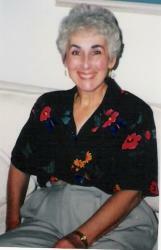 Eleanor Henricks joined the Carousel Harmony Chorus in June of 1995. She was a strong lead, who sang with tremendous energy and animation. She put that same energy into the positions she held on the board and the membership committee. Outside the chorus, Eleanor also made music; she sang and played the guitar in a contemporary folk group at her church. Eleanor was a children’s librarian for 28 years, beloved by all the young people who came through her door. Upon her retirement, the library honored her years of dedication by naming the children’s room after her. Eleanor was involved in many volunteer organizations, such as the Red Cross, Lourdes Hospice and the Arts Council. She was very active as well in the American Association for University Women, and was a member of the Carousel Valley Red Hats chapter. In her spare time, Eleanor played an excellent game of tennis. Eleanor had to leave the chorus in April of 2001, but joined again with renewed vigor in February of 2008. By September her illness returned to finally claim her. 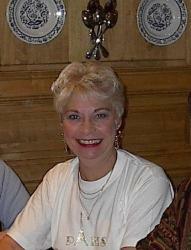 She leaves behind three wonderful daughters, of whom she was so very proud, as well as three beautiful grandchildren. Eleanor also leaves a whole host of friends - and many young people whose lives were profoundly influenced by this feisty, funny librarian who imparted to them her great love of literature. Eleanor was a very special lady, but more importantly, she made everyone around her feel special. We will sorely miss her. It is with great sadness that North Metro announces the loss of another very treasured member. 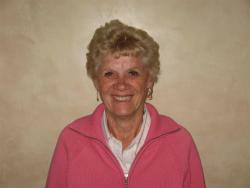 Phyllis Keen joined us in 1981 after 4 years with the Credit Valley Chorus. 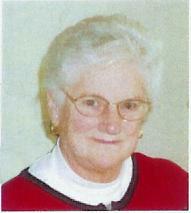 Phyllis was a most devoted member and a very 'special Lady' who had to deal with a heart problem for many years. Even though, on a few occasions she was unable to join us on stage, she would be in the audience cheering us on. Phyllis had just recovered from a stay in hospital due to her heart, when she was suddenly taken from us when her car was struck by another automobile on the highway near her home in Barrie. She sustained a number of injuries and broken bones, but mostly her heart could just not stand the strain. Lynne Ardill joined Harmony North Chorus shortly after we were chartered in 1999, and embraced the art of barbershop harmony. She was a dedicated member who served on the choreography team, fund raising committee and management team. 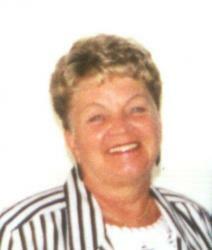 Lynne was a primary school teacher for 21 years in Aurora before retiring to Collingwood Ontario. When not singing Lead with the chorus, in her spare time she was a gourmet cook, golfer, skier, tennis player, avid bridge player, voracious reader, cryptic crossword fanatic, reveled in trivia and loved a party. Lynne passed away after a brief but valiant struggle with cancer. She leaves behind her devoted husband, Peter, children Peter Jr. and Jennifer and 3 beautiful grandchildren. At her Celebration of Life the chorus members sang 2 of her favourite songs. We loved her and will miss her wonderful sense of humour. and would always be found talking to someone new wherever she went, particularly during competitions. She was a wonderful ambassador for North Metro. We missed her so very much in Las Vegas, but she was in our hearts and our voices. Bev was a Charter Member of Capitaland Chorus and a member of Sweet Adelines for over 30 years. She had been battling cancer for many years but through it all she continued to attend rehearsals and competitions. Her love of "her" chorus and her continued support were an inspiration to us all. We were blessed to have shared the many years with her. It is with great sadness and regret we announce the passing of Laverne Rousseau on September 17, 2005. Laverne was diagnosed with Lung Cancer in August, 2002. Laverne joined Sweet Adelines in 1957 with the Oshawa Chapter. While with Oshawa, Laverne formed a young girls 4-part harmony chorus. Laverne’s 3 daughters, nieces, chorus members’ daughters & friends made up this good-sized group. Laverne taught the girls a few songs; they had a chorus costume & performed at a few outings. Laverne was also involved in a few quartets, always singing lead (or baritone when needed). In the mid-eighties, Oshawa Chorus amalgamated with Mississauga Chapter to form Don Valley Chapter. Then, in 1987 Laverne, along with 8-12 other members transferred to North Metro Chapter. She was on the Board of Directors; held the position as Secretary, as well as other positions on the Board. She was a tester for the Lead Section. 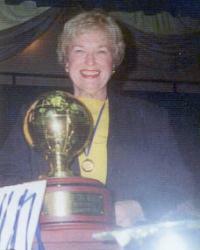 In 2004 she won the "North Metro Harmony/Sweet Adeline of the Year" award. Through failing health, she still maintained her chorus membership, golf membership, oil painting with the Whitby Seniors’ Centre, volunteered with St. Vincent’s Kitchen ‘Meals on Wheels’ program and music convener with her Church Choir. Laverne was so much fun and such a dedicated friend, family and chorus member. Those who knew Laverne will remember her outgoing personality, style, care and charisma and as always, being dressed to the nines. She will be missed by so many - all feeling fortunate to have known her. Renee Duch loved Buffalo Gateway Chorus and she was well loved in return. Her courage throughout her long battle against ovarian cancer was an inspiration to all who knew her. Throughout her 23 years as a Sweet Adeline Renee took an active role in the chorus, taking on many managerial positions. Every chorus project that she assumed radiated her passion; be it quarteting, Chorus Managing or Financial Coordinating, but it was Membership Chair, her favorite responsibility, that positioned her to meet, know and love each member of the Buffalo Gateway Chorus family. Although she was often teased about her organizational skills, it was precisely those skills that we depended upon and those skills which kept her busy designing forms, keeping records and coordinating and balancing the chorus finances. Love has no boundaries, and so too Renee’s love for life traversed family, music, chorus, friends and her work. Although she leaves behind her husband Howie, daughters Michelle and Karen and three grandsons, her sisters Pam Calveric and Nancy Kelsey who are members of Buffalo Gateway Chorus and Toast of Tampa Chorus respectively, and a host of many, many friends, her love for life will continue to be heard through the sounds of the Buffalo Gateway Show Chorus, as the heartfelt memory of her friendship and love will remain an integral part of all of our lives. Donations are being accepted for the Renee Duch Memorial Young Members Dues Fund. It is with profound sadness that I notify the Region of a tragic fatal car accident involving a member of Orangeville Chorus. Fran Lavelle, one of our great Basses, died on January 24, 2005 as a result of a single car accident on winter weather roads. 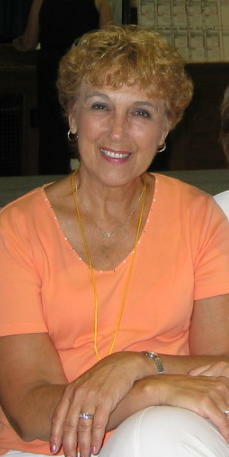 Fran was a compassionate, caring individual who thoroughly enjoyed chorus life. She joined with the “Class Of 2000” and in her time with Orangeville Chorus, she was a most dedicated member. She served on the Board of Directors, most recently as the Public Relations Chairman, and she showed every one she met her wonderful smile and her great enthusiasm. She took part willingly in most chorus activities, but was forever writing ‘thank you notes’ to others in the chorus for their contributions! She wore all her chorus costumes with class, and had a great collection of Sweet Adeline jewellery, T-shirts, vests, scarves etc., that identified her as part of this great organization, showed her love of the music, her joy in belonging and created a bond with the chorus members, all of whom she called friends. She enjoyed several trips to International Convention, shopped Harmony Bazaar like a pro, and had recently become a member of a quartet, to further her knowledge and love of this craft. She can best be summed up, in the way Orangeville Chorus members viewed her on their 2003 trip to Paris, France….she had a real “Joie De Vivre” and she will be sadly missed. Fran’s family meant everything to her, and she leaves behind her husband Michael, one son, three daughters and several grandchildren. Most of Orangeville Chorus attended her Funeral Mass and Celebration of her life and heard many wonderful tributes to her from family members. We were also privileged to hear Michael Burgess, a family friend, pay tribute to her with beautiful music. He sang “Amazing Grace”, “Ave Maria”, “On Eagles Wings”, and the touching song from Les Miserables – “Bring Him Home”, which he personalized to “Bring Her Home”. We know that Fran is now in her Heavenly Home and has joined the Angel Choir’s Bass section. 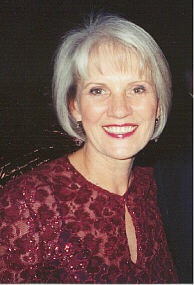 North Metro Chorus is deeply saddened by the passing December 23, 2004 of a much-loved chorus member, Carol Archer. Carol was a long-time member of our chorus, joining North Metro 30 years ago. Our chorus enjoyed her innovative choreography for many years and she was very involved in all of our shows, including our most recent one in September. One set of our show was "Les Miserables" and she assisted many chorus members with costuming, personally shopping for the bits and pieces that would enhance the individual look. Carol was given North Metro's Harmony Award, which is an honour, that indicates the respect and admiration the chorus has for the recipient. Carol enjoyed a long fruitful career as a teacher, culminating in her attaining the position of Principal. Her husband, Harry, an avid fan of North Metro was very supportive of all of Carol's involvement with our chorus. North Metro will miss Carol tremendously. We celebrate her Sweet Adeline legacy and join her family in grieving her loss. We extend our condolences to her husband Harry, sister Eileen, and her remarkable father Jim Kruzic who just celebrated his 101st birthday. One of our Sweet Adeline sisters died on August 9th, after a brief illness, and we mourn her passing. Mary Zarbo, known as "Peg" to most of her friends, was many things to many people...a loving wife and mother, a doting grandmother,and a devoted member of the Buffalo Gateway Chorus for 21 years. She was in Harmony Lane chorus for 3 years before joining, BGC, (then called Quaker), and had once been a member of a championship quartet. Her music was a huge part of her life, and when she and her husband of 57 years decided to spend their winters in Florida, she soon found a welcome in Region 9 with the Citrus Harmony Chorus. She kept up with all the music of BGC, and returned each spring ready to perform. Peg was an avid crossword puzzle enthusiast, painter and artist, and animal advocate. Above all, she was a kind, caring and devoted friend, and will be missed by all of us in Buffalo Gateway who were lucky enough to have known her through many joyous musical years. As a tribute to her memory, we are buying a brick in her name to be placed in the walkway at International Headquarters of Sweet Adelines in Tulsa, OK.
"Whoever lives in the hearts of others, never dies." It has been a devastating summer of loss for North Metro as we said a final farewell to three long-time members – the latest being Mary Snow. 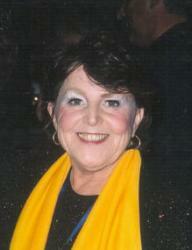 Mary Snow was a forty-year member of Sweet Adelines and a thirty-year plus member of North Metro. Although outwardly a very reserved and private person, she loved to laugh and roomed for years with the same three members of the chorus – one of whom was the late and much loved Maud Potts. A ‘lady’ in every sense of the word – Mary carried herself with dignity and pride. At Regional Conventions, North Metro members would be fascinated upon entering her ‘quad’ room where she and her roomies would have a lace tablecloth set out, the lights off, china on the table, candles lit, quietly eating eggs, bacon, toast and fruit for breakfast. We never did find out how they managed that, but they certainly turned ‘rooming at convention’ into a fine art. Also – if you remember the silver lurex top hats with tulle – a very distinctive accessory from years ago – Mary designed and made the hats for every chorus member. Again – such creations were put together quietly at her home, with no fuss or expectation of recognition. She was genuinely surprised when she was praised for her creativity. Mary came from a long line of ‘barbershoppers’ and her nephew and great nephew today sing with MegaCity Chorus, while her great-great niece has just joined North Metro. Those of us who drove with her each week grieved as her sight failed and she began to slip away from us into that awful world of Alzheimer’s. Eventually she was unable to come to chorus and she could not really remember her beloved North Metro. We, however, will ALWAYS remember her! North Metro again said goodbye this month to another of its longtime members, Jean Goode. 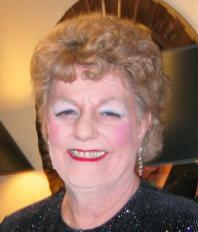 Jean passed away after a brief illness and will be sadly missed by her chorus sisters. Jean was a member of the former Toronto Chapter and when it re-formed she joined North Metro, where she was a proud member for approximately 15 years. Justifiably thrilled with her Regional First Place Medals and International Gold Medals – she was equally as gratified by her annual ‘Perfect Attendance’ Pins – which she was presented with for many years. Jean had two sisters and two sons. She doted on her family and the many family get-togethers they had. She often said her family was her real hobby. When one of her sons bought a home and moved away, he found another home in the area for ‘Mom and Dad!’ Jean and her husband promptly purchased it so that family events could continue as before. Just over a year ago Jean became the extremely proud grandmother of a little boy – William. And another generation began for Jean to dote on. He was the light of her life! Throughout the years, Jean worked very hard to help provide for her family – always her main focus. This work ethic showed itself in the level of her contribution to her chorus. It isn’t easy for us to say goodbye to members of our chorus family. Jean – you won’t be forgotten! North Metro Chorus members joined family and other friends at a graveside service on May 21, 2004 to say goodbye to our dear friend and chorus sister Wendy, who recently passed away at the age of 59. As in all things, Wendy’s courage and tenacity had enabled her to fight a determined battle against breast cancer for many years before finally succumbing at home on May 19, 2004. Wendy’s love of her chorus was surpassed only by her joy in performing in a Quartet, and many of you in Region 16 will remember her well as a member of both Quasar and Viva! After many, many years with North Metro, it was with great sadness that Wendy, a Harmony Award winner in 1988, had to resign from the chorus to concentrate on fighting her illness. Wendy’s biggest weapon in her battle with cancer, besides her tremendous courage, was her sense of humour. One could not be around her for more than a minute before being overcome with laughter. Assistant Director Sadie Moore, Wendy, and I performed comic songs and poems for North Metro for many years. It was often difficult to get Wendy out of our rehearsal room – a fancy title for the nearest loo - in order to perform for the chorus, as she was usually so convulsed with laughter she couldn’t walk. She used to say that she was sure we had more fun preparing the skits than anyone else had watching them. Many of you will no doubt remember Wendy’s terrific performance as Fagin in our outgoing “Oliver” package! She was delighted when someone approached her and said they hadn’t realised men were allowed in an SAI performance. As well as her husband Marcel, her four children, and beloved grandchildren, Wendy left behind a bright and shining legacy of courage, determination, fun and laughter – all of which WILL last forever!